The defending champs and 6th seeded San Antonio Spurs (0-1) will be looking to even out this Western Conference quarterfinals series as they face the 3rd seeded Los Angeles Clippers (1-0) Wednesday night. The game tips off at 10:30 pm ET from the Staples Center in Los Angeles, California and will be televised nationally on TNT with regional coverage provided by Fox Sports Southwest and Fox Sports West 2. 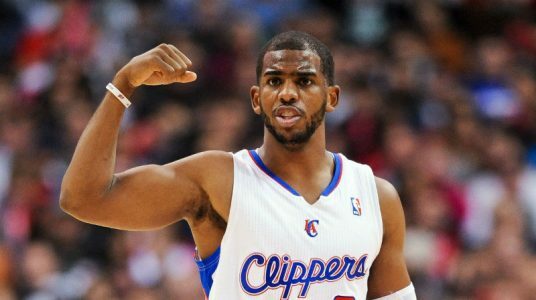 The hosting Los Angeles Clippers are currently a 1.5 point favorite with the total set at 207.5 points for this match-up. Los Angeles won seven straight and 14 of 15 to close the regular season and prevailed 107-92 in the opener of this series Sunday night. Chris Paul led four Clippers in double figures with 32 points and Blake Griffin added by posting a double-double with 26 points and 12 rebounds. Jamal Crawford came off the bench and contributed 17 points off the bench while J.J. Redick notched 10. The Clippers shot a red hot 51.3 percent from the floor and completed 10 of 18 attempts from beyond the arc with Chris Paul going 3-for-5. Few teams could match San Antonio during the regular season run-in as it won 11 straight before falling 108-103 at New Orleans its last game. It will have to chase this series now after losing 107-92 to the Clippers. Kawhi Leonard led five Spurs in double figures with 18 points while Tim Duncan contributed with a double-double with 11 points and 10 rebounds. Marco Belinelli shipped in with 11 points off the bench while Tony Parker and Manu Ginobili each added 10 points in the loss. The Spurs undoing was a lowly shooting percentage of 36.6% from the floor and knocking down only 10 of 33 from three point range. The Spurs could not contain Chris Paul and Blake Griffin in the first meeting and should struggle tonight as well. Situationally a great spot for the Clippers who are 8-1 ATS in their last 9 games playing on two days rest while the Spurs are 1-6-1 ATS in their last eight games playing on two days rest. Play Los Angeles Clippers -1.5.